The Raconteurs are back, baby. The acclaimed collaborative act led by Jack White and Brendan Benson are busy recording their first new album in more than a decade. The record doesn’t have a name or an official release date yet, but despite details being few and far between, we aren’t completely in the dark about the band’s third LP. Here’s everything we know about The Raconteurs’ new music so far. The record has no set release date, but we do know that it will be out in 2019. This news came as part of the band’s 10-year anniversary reissue of their Grammy-winning last studio album, Consolers of the Lonely. The reissue found the band heading back into the studio together to find the original master tapes and from there, they began recording together in Nashville. The Consolers reissue, which is available exclusively through White’s Third Man Record Vault Collection, will contain two as-of-yet-unnamed songs off the new album. Membership for the Vault closed on Oct. 31 and the reissues should be shipping soon, meaning two new songs will be out in the world any day now. But it remains unclear when those songs will emerge from behind a Third Man paywall for the general listening public to enjoy. 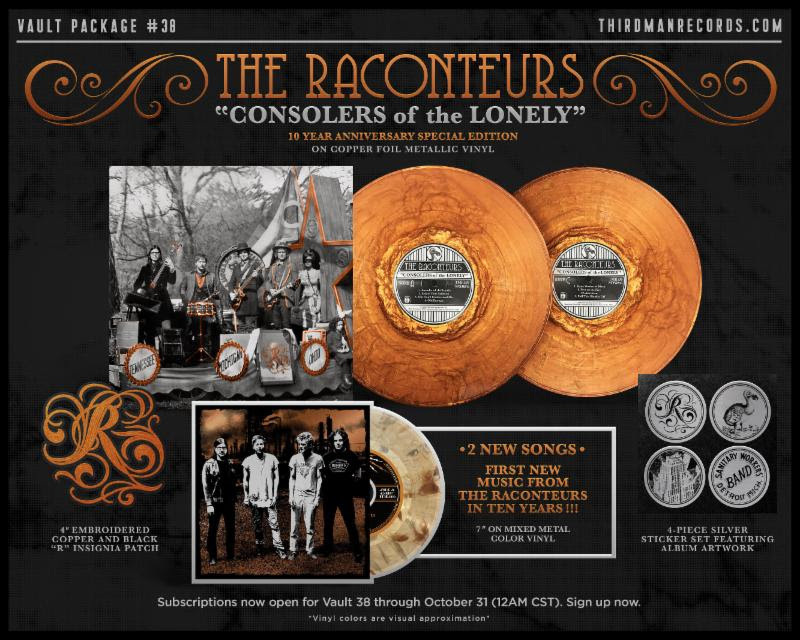 The Raconteurs’ aforementioned last album came out in 2008, and in the meantime, the various members have kept busy doing just about everything else. After touring in support of Consolers, the band occupied a sort of purgatory for a while. White, Jack Lawrence, and part-time touring member Dean Fertita began to perform with their other supergroup, The Dead Weather, starting in 2009. Drummer Patrick Keeler went on to tour with The Afghan Whigs, as well as The Greenhornes alongside Lawrence. Benson continued to release solo records, his latest being 2013’s You Were Right. The band itself had a stop-start mentality following their last record. They played shows sporadically and announced new music in much the same fashion. Following his 2012 solo debut Blunderbuss, White announced that the band would be working on new music, only to have Benson say new music was “off the table” a little over a year later. The group had a partial onstage reunion in 2015, with Benson and Lawrence joining White onstage for renditions of “Salute Your Solution” and “Steady, As She Goes.” That was the last news of the band performing together until their reunion announcement this past October. The other Raconteurs have less surprising output—Benson’s last single, 2017’s “Half a Boy (And Half a Man),” had all his trademark anthem-ness, for instance. One thing we do know: Their reunion record will have organ (and perhaps a track titled “Nosedive”) on it, if the Instagram video below is to be taken at face value. 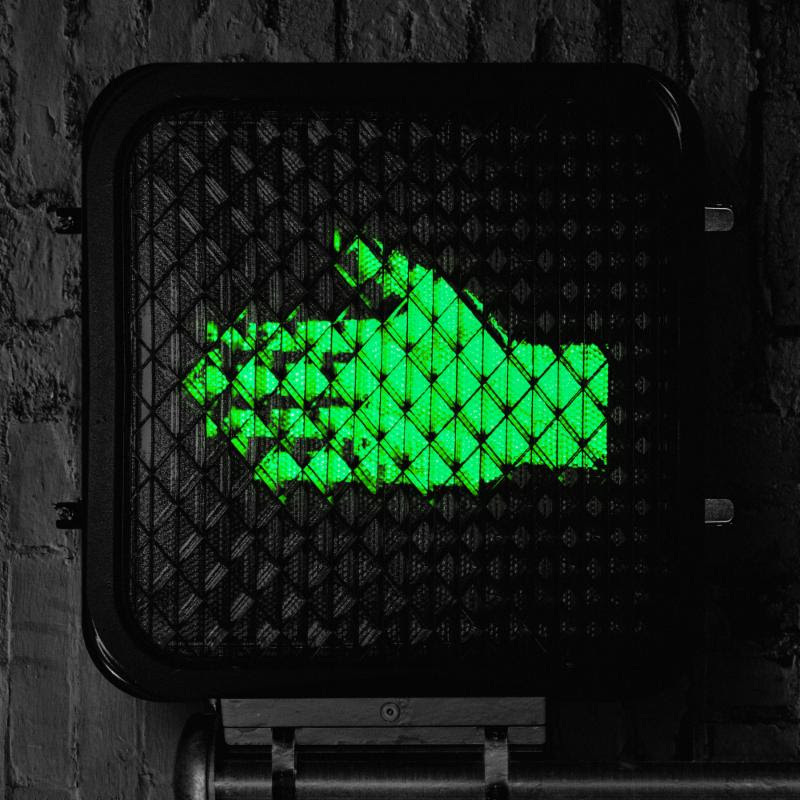 The Raconteurs will release the first two singles from their still-untitled new album as a double A-side single on Wednesday, Dec. 19, Third Man has announced. You can hear snippets of both singles, titled “Sunday Driver” and “Now That You’re Gone,” below. The Raconteurs released “Sunday Driver” and “Now That You’re Gone” as planned on Dec. 19, accompanied by Steven Sebring- and Dikayl Rimmasch-directed music videos. 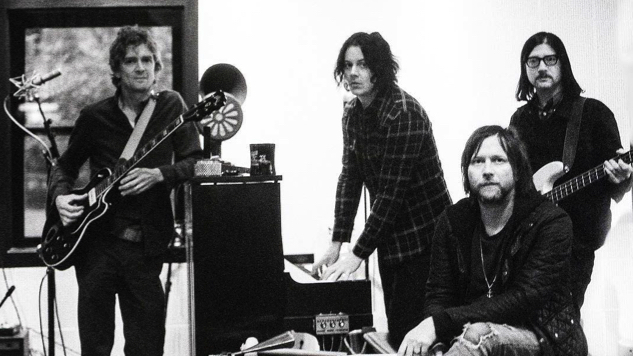 The Raconteurs finally detailed their new album on April 2, revealing its title—Help Us Stranger—tracklist, album art and June 21 release date. See those details below. Watch this space for further updates on the return of The Raconteurs.